One wonders if gospel film makers ever want to reach their target audience. We can’t but imagine if they ever want to make money. It appears we are more concerned about the spiritual aspect of film making than the aspect of marketing and distribution. 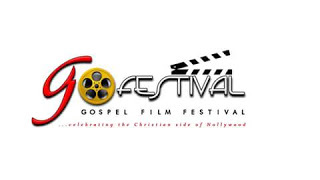 Recently, our media firm, GOSPEL FILM NEWS decided to give an opportunity to gospel films. We decided to advertise for free, as many films as possible. We rolled out the announcement on different social media platforms for gospel film makers to send artwork of their film(s) to us and we would ask some questions about the film so as to help us create the advert. We purposely wanted to advertise gospel films because gospel films have suffered inadequate advertisement/marketing. One of the questions asked was “How can people access the film?”. To our greatest surprise, almost all the films don’t have notable distribution chain for people to access them, except that whoever wants to buy the films would have to call the producer. So, a prospective buyer in Cross River state would have to call a film producer in Lagos in order to get the #200/#250 film. More so, even if the buyer is in the same state with the producer, he/she must call the producer in order to get the film. What a stress and waste of resources! Do you call ‘Odunlade Adekola’ or ‘Kunle Afolayan’ before you see their movies? If you must see any of the circular movies, you would simply go to any video outlet or a distributor and buy the film. From observation, about 30% of gospel films get to the target audience. Majority of those films are watched by the ‘church people’. What we simply do is, we produce the films and hide it in our houses. How will people get to know about the films? There are many films some of us have produced for some years now and people don’t even know those films ever exist. A film that is supposed to bless lives is hidden ‘under the bushel’. Maybe we should talk briefly on what a gospel film is and the purpose. A gospel film is a film that contains the gospel (I.e. good news). Gospel film is a film that preaches Jesus Christ, a film that teaches how to live a godly and peaceful life in the way of Christ. In the light of this, if we are to preach Jesus Christ and godly character, who should be our target audience? To whom should our message be conveyed? Definitely, the unbelievers, the unsaved, and the growing Christians. But how many of our target audience can access our films easily? How many of them can go to a video outlet in any part of the country or let’s say in a state and get the films we produce? We have good product (gospel films) but we don’t know how to make this product known to people. We lack MARKETING and DISTRIBUTION strategy. I guess why this is so is because we lack proper planning. If truly we plan for our films, we would have planned marketing and distribution from the pre-production stage. Someone said, ‘but i don’t want to sell my film, I want people to watch it free, I want to upload it for people to download for free.’ Yes! You don’t want to sell it but does it get to the target audience? Does it fulfil its primary purpose? I understand there isn’t enough money to run advert on TV stations but there are little things we can do to make our product known. Ensure that you go to as many as possible marketer/distributors and give the film to them to sell for you. Let your film be available at video outlet and see your film among the films there. Don’t ask marketer/distributor for money,give the film to them at a very cheap price so that they will also make profit (you know they are business men/women). The more people see your movie, the more they get familiar with your brand. Get this secret about distributors- if you give your film to them at a very cheap price and a buyer enters their outlet in search of a film, distributors will tell them about your brand. In fact, some of them will convince buyers to buy your film instead of the film the buyer wants to buy. Secondly, adequate publicity on social media will be helpful. It cost you little or nothing. Design a catchy artwork, write some interesting things about the film and upload on different platforms. Tell your friends and families to help you share them. Make sure you are consistent in the publicity. The more people see a product the more they get familiar with it. Lastly, look for a medium like ‘Gospel Film News’ that can help you with advert with just a token. Its good you know that thousands of people visit blogs and read news online than you can ever imagine. At Gospel Film News we strategically share our posts. 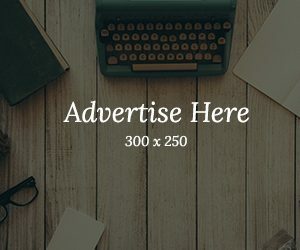 We publish our stories to reach a wide range of audience. Many people see us as authentic source of information, they never get disappointed. If you give us your film, we will help you expose it to the world. Don’t forget, online is ‘information on the go.’ As a matter of fact, you reach more people through online platform than by any other means. Wow, great! I think this editorial is well thought out and timely. We really need this counsel and the time to act is now. I greet the Gospel Film News crew for the good work and pray that Gospel filmmakers will take the opportunity to project their works.